Anna Roberts posted her article, “(Re)Forming the Jury: Detection and Disinfection of Implicit Juror Bias” (Connecticut Law Review, Vol. 44, 2012) on SSRN. Here is the abstract. This Article investigates whether one of the most intractable problems in trial procedure can be ameliorated through the use of one of the most striking discoveries in social science. The intractable problem is selecting a fair jury. Current doctrine fails to address the fact that jurors harbor not only explicit, or conscious bias, but also implicit, or unconscious, bias. 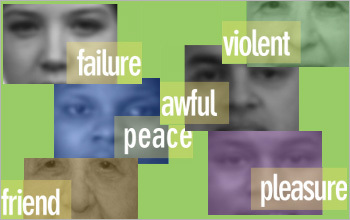 The discovery is the Implicit Association Test (“IAT”), an online test that aims to reveal implicit bias. This Article conducts the first comparison of proposals that the IAT be used to address jury bias. They fall into two groups. The first group would use the IAT to “screen” potential jurors for implicit bias; the second group would use the IAT to educate jurors about implicit bias. These proposals merit deeper consideration. Implicit bias is pervasive, and affects crucial juror functions: evaluation of evidence, recall of facts, and judgments of guilt. Juries are generally told nothing about implicit bias. The judiciary has expressed concern about implicit juror bias, and sought help from the academy in addressing the problem. I provide what the proposals lack: critique and context. I show that using the IAT to screen jurors is misguided. The educational project has merit, however, since implicit bias can be countered through knowledge of its existence and motivation to address it. To refine the project, I identify two vital issues that distinguish the proposals: when jurors should learn about implicit bias, and how they should learn. On the issue of when, I argue that the education should begin while the jurors are still being oriented. Orientation is not only universal, but, as research into “priming” and “framing” has shown, a crucial period for the forming of first impressions. On the issue of how, I argue that those proposals that would include the jurors taking an IAT are superior to those that would simply instruct jurors on what the IAT shows. In an area fraught with denial, mere instruction would likely be dismissed as irrelevant. I use pedagogical theory to show that experiential learning about bias is more likely to be effective. I bring when and how together, proposing a model that would include the use of the IAT as an experiential learning tool during orientation. It would harness the civic energy of jurors to an educational purpose, rather than letting it morph into boredom; by putting jurors in an active mindset, it would enhance their satisfaction with the process, and their ability to perform optimally. As for potential jurors who are never selected, their participation would honor the long-standing educational function of jury service. This entry was posted on November 1, 2011 at 12:01 am	and is filed under Abstracts, Implicit Associations, Law. Tagged: bias, Implicit Associations, jury, Law. You can follow any responses to this entry through the RSS 2.0 feed. You can leave a response, or trackback from your own site.